Short films are the unsung heroes of the global film industry. They are widely ignored by audiences who traditionally regard paying to see a 5 to 30-minute film not worth the money. While the average run time of feature films continue to steadily increase, short films remain, well, short. The good news is that things are slowly starting to change. With the help of an increasing number of short film festivals around the world, short films are actually making a comeback. Each year countless festivals ranging from the prestigious Academy Awards to specialist short film festivals such as the Palm Springs International Shortfest, help to raise awareness about short films. 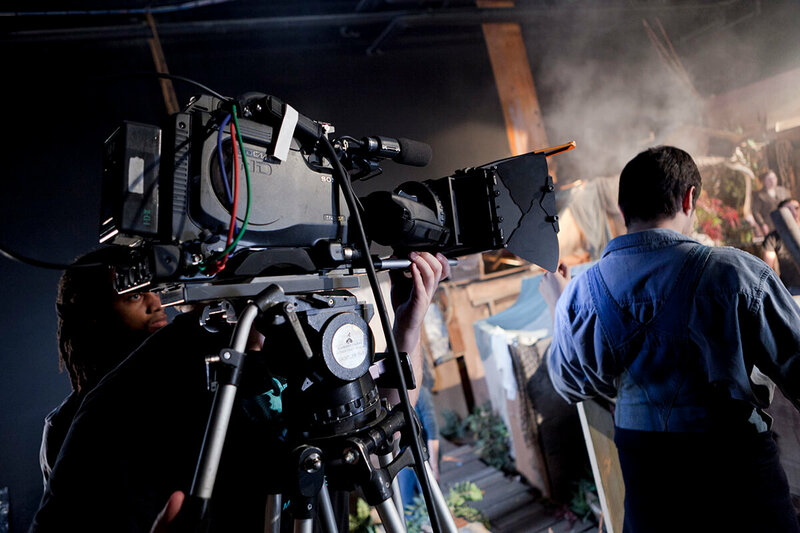 From the filmmaker’s point of view, short films represent a really important path to getting their talents noticed. Since short films require far less money to make than feature ones, a filmmaker is much more likely to be able to get the money to make one. But few people outside of the industry realize just how challenging making a short film can be. In many ways making a short film is very different from making a feature film. With some short films only having a total running time of 3 to 4 minutes, creating a good movie can be a real challenge to many filmmakers. Provided you are not intending to go the way of Jean Luc Goddard and attempt to improvise your script, making sure you have a great script is vital. A good script usually means that even if the rest of the production doesn’t go as planned, the result is still a reasonably good film. Preproduction is the stage that can really make or break your short film. Experienced production crews will use this time to hammer out a lot of the problems that could slow things down later on. Preproduction is an ideal time to get the actors and crew together to bond. This bonding is very important as when production is underway, these tighter relationships will help get things done. Another important part of preproduction is getting the actors together to rehearse their dialogue. During this time you should be present to see just how well the chemistry is working out and to make sure they are performing as you want. Preproduction is also a time when you get to find locations and build any sets. You will also be able to test out equipment and generally get everything ready to go. Though it might seem impossible to get all of the things you want to say fit into a 5-minute film, many of the best short films have been very short. Films such as Laps (Charlotte Wells, 2017), which had a running time of just 6 minutes, were praised by the critics and were really powerful works of art. The real challenge of a short film is how to get an idea across and make your characters shine in a way that ordinary features take hours to do. The key here is to be precise. You don’t need to explain a character’s background in full to allow the audience to understand they are troubled by their past, for example. One short scene or reference device is enough to establish audience understanding. 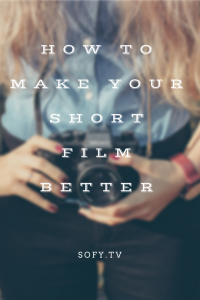 It is natural for short film directors to obsessively focus on how to make their short film better. The problem with this is that it can have a negative impact on the production. It is rare that the film that the director has envisioned in their mind is the one that we see onscreen. Try to maintain a realistic view of the film and stop dreaming of what you are going to say during your academy award speech. This will help you get the film made as best as it can possibly be. Making sure you get a good sound engineer and boom operator on your film can make a huge difference. It is easy for directors to lose themselves in their own self-confidence. The problem with this is that usually ends up in mistakes or things being done that could have been better. 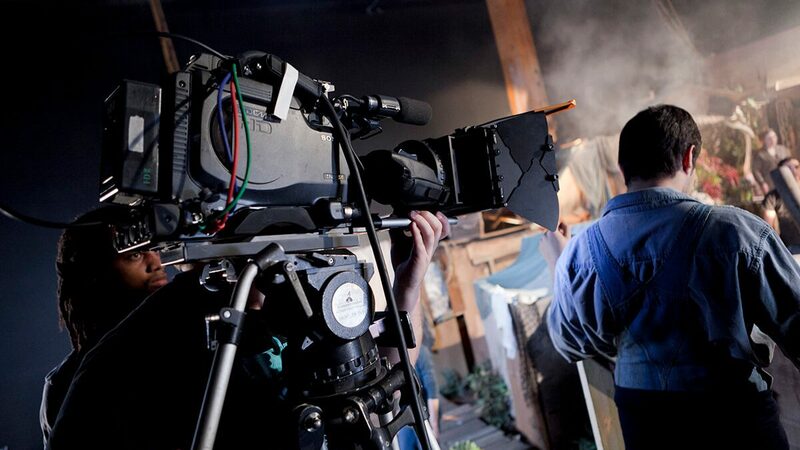 Sound is a perfect example of something that many inexperienced directors often overlook. Cleaning up bad audio can take endless amounts of time and often yield poor results. No audience in the world wants to sit and watch a film where the noise levels aren’t right. Even worse is the prospect of having to sit through a film that has a lot of white noise during the quieter scenes. A good sound engineer will be able to ensure that you record the best possible quality of sound. They will also be much better positioned to tell the director how good a particular sound recording was after each take. This will help the director decide if they have the shot in the bag or not. Few people know it but the famous ‘Blue Danube’ scene from Stanley Kubrick’s 2001: A Space Odyssey wasn’t actually Kubrick’s idea. While the film was being edited, one of the crew happened to be playing Blue Danube as the scene played. The crew brought the song to the attention of Kubrick as it fitted so well with the scene. He immediately gave it his ok, and that is why we see it in the film today. A good filmmaker will always be able to adapt to the situation that they are placed in. This might mean filming a scene in the rain or like Werner Herzog did in Aguirre, the Wrath of God (1972), capturing the random scene of clouds breaking over the side of a mountain.